Possessing a voice as cool and crystalline as an Alpine stream, Natalie Cressman is a rising singer/songwriter who draws inspiration from a vast array of deep and powerful musical currents. Her new five-song EP, Traces, reveals her latest evolution - a sleek and sensuous electronica-laced sound with a trace or two of dance floor sweat. Steadily evolving in many directions, the 25-year-old Cressman has already put down deep roots in several overlapping scenes. 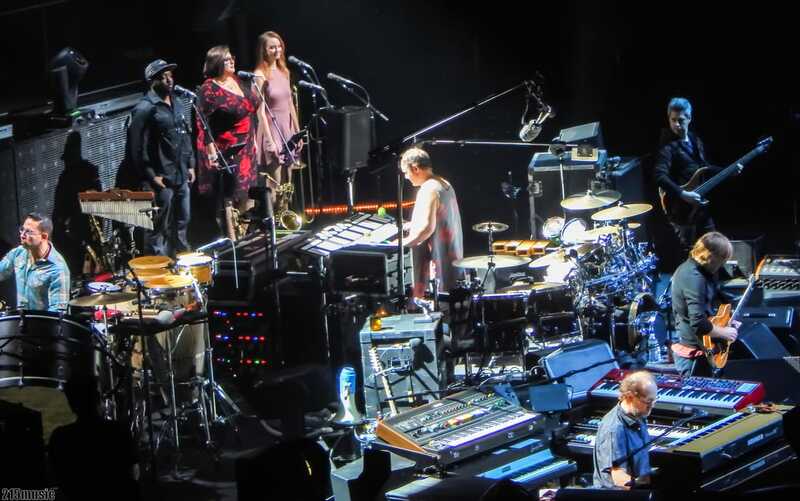 A prodigiously talented New York City-based trombonist, she’s spent the past seven years touring the jam band circuit as a horn player and vocalist with Phish's Trey Anastasio (and recently played with Phish at Madison Square Garden). Deeply versed in Latin jazz, post-bop, pop, and Brazilian music, she tapped the interlaced traditions on her first two solo albums, 2012’s Unfolding and 2014’s Turn the Sea. The Traces EP follows on the heels of 2016’s Etchings in Amber, a gorgeous duo album with guitarist Mike Bono that introduced Cressman as a formidable musical force without her horn. While the project focuses on songs featuring lyrics she wrote for several Bono compositions, Cressman also wrote words and music for three of her songs, contributing to the atmospheric suite of jazz-inflected, genre-bending tunes. With Traces, Cressman expands her creative reach into post-production, meticulously crafting soundscaped tracks inspired by R&B singer/songwriter Emily King, the Prince-championed vocal trio KING, and particularly Australian avant-soul quartet Hiatus Kaiyote. Cressman's far flung musical passions continue to bear new fruit, as her identity as a horn player and a singer/songwriter evolve in different directions. Playing funk trombone in arenas and cavernous theaters has required developing an aggressive new vocabulary of shouts, growls, smears and yelps, a la the James Brown Horns’ Fred Wesley. Her vocal work in increasingly intimate and rhythmically insinuating settings has revealed an artist who can thrive in any setting, from raucous, reverberant halls to packed and pulsing lofts and nightclubs. In an epoch marked by infinite musical possibilities, Natalie Cressman is a singular force who draws from an improbable breadth of sonic realms. Natalie Cressman and her full band perform at Ardmore Music Hall on March 25th.